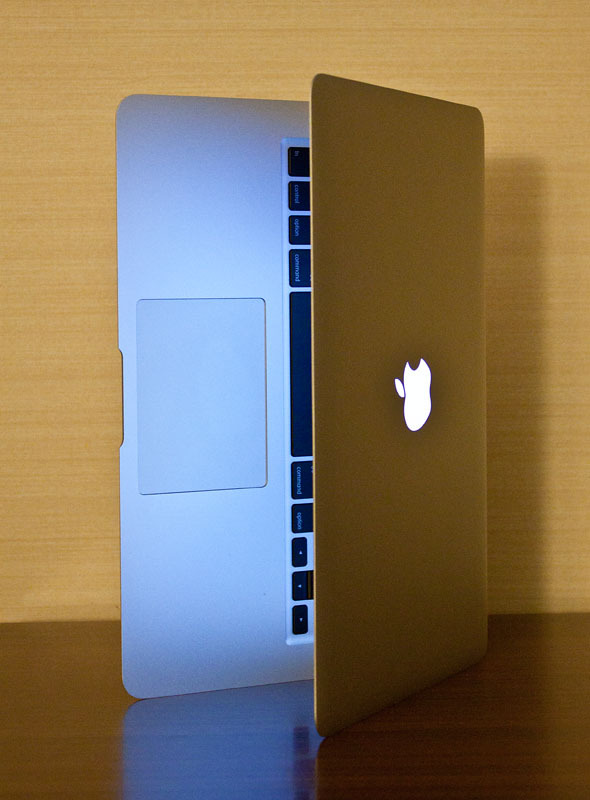 The new MacBook Air represents both freedom and power for the nimble photographer. This week I talk about how to best configure the laptop and have recommendations for camera bags that will accommodate it. I've had a chance to actually use the computer in the field. On a recent assignment to New York, I used Aperture 3.1, Photoshop CS5, Adobe Bridge, Adobe Camera Raw, iMovie, Photoshop Elements 9, Premiere Elements, and iPhoto '11 on the MacBook Air. All of my productivity apps such as the iWork suite, Transmit 4, Text Wrangler, and QuickTime also performed well. The bottom line is that the Air is a blessing for shooters who want to use their favorite photo apps on the go. Listeners who have the TDS Podcast App also have a movie showing the Classified Sling 180 and the Versapack with the MacBook Air. Click on the Extras button. How about adding links to the Lowepro bags in the show notes? Its hard to follow in the podcast with all of the choices you outline. Hi James, I'll add them right now then republish. Should be ready for you by 11am PST. I was looking at the ipad and the Air(s). I have an iMac 24 that I use for photo processing in my fumbling manner. I am pretty sure whatever photos I take I can wait to do heavy duty processing until I get home (I'm not a pro photographer thus I'm not under the time gun with these things like you are). I like a real keyboard. The release of the small Air has me seriously weighing pros and cons. I was thinking of using it like you talked about on your ipad nimble photographer show. However, it's possible the apps available for the ipad make it a better choice. Or maybe iphoto on the small Air would be good enough for quick processing on the road. Apple has not made this easy! Having used both (I know you have the larger Air) what do you think for quick processing on the road - is the ipad better in this regard? It is not only recommended to get the RAM-Upgrade directly from Apple, with the MacBookAir it is the only way. The RAM is soldered directly onto the Motherboard. There is no way to upgrade it after buying it.